The tār is a traditional Persian stringed instrument. As a matter of fact, the word tār means “string” in Persian and is also related to dotar, sitar, setar, and guitar. 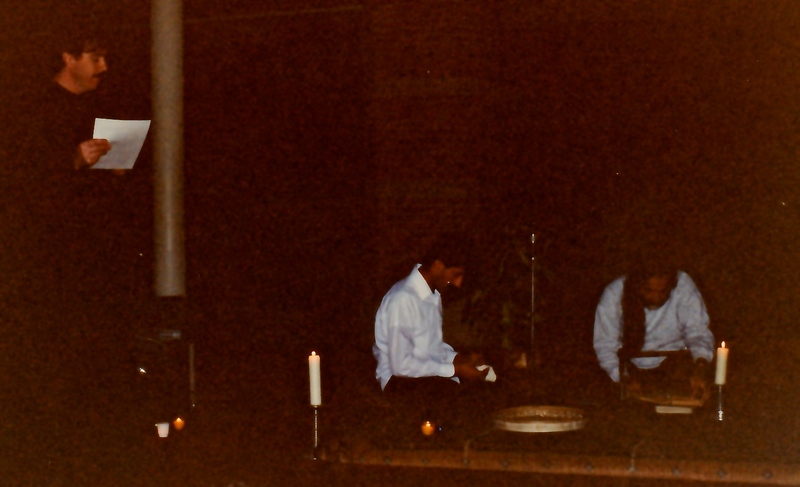 It was my dear friend, Sirous, who introduced me to the tār and other traditional Persian instruments, when we were both graduate students at the University of Pittsburgh in 1982. Sirous beautifully plays the tār, setar, daf, kamanche, tonbak, and probably others. 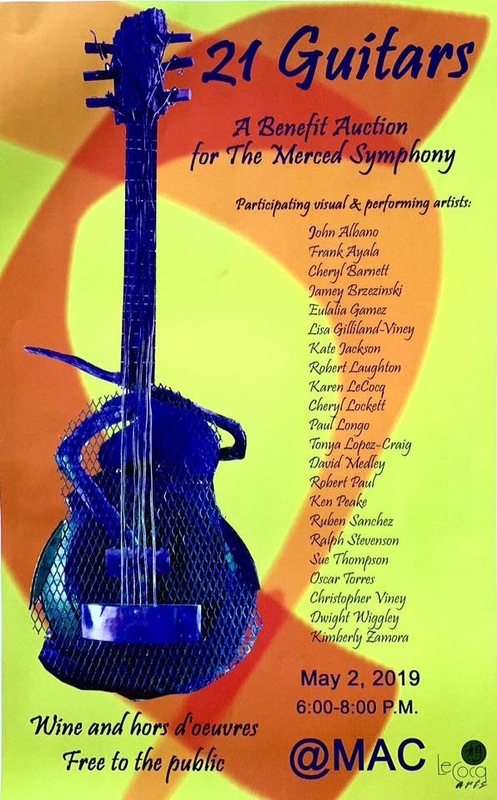 Over the years, I’ve met a few of Sirous’ musician friends and had the pleasure of seeing them perform in both informal and formal settings. Many of these performances included the rendering aloud in Persian of the poetry of Hafiz, Rumi, and others. 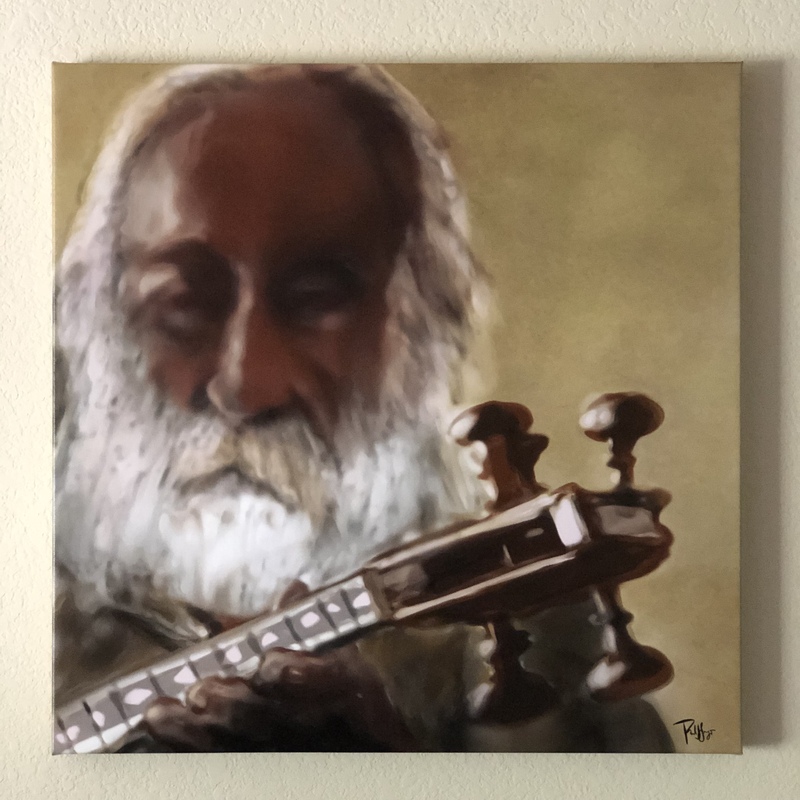 One of Sirous’ musician friends, who stood out not only because of his natural height, but also because of his prominent role in the revitalization of traditional Persian music, was Mohammad-Rezā Lotfi, about whom I’ve already illustroblogged. Take a look at this short, homemade video of Lotfi sitting on the floor playing tar among friends in a cozy setting. I just love the structure and shape of the Persian Tār, especially the tuning pegs! 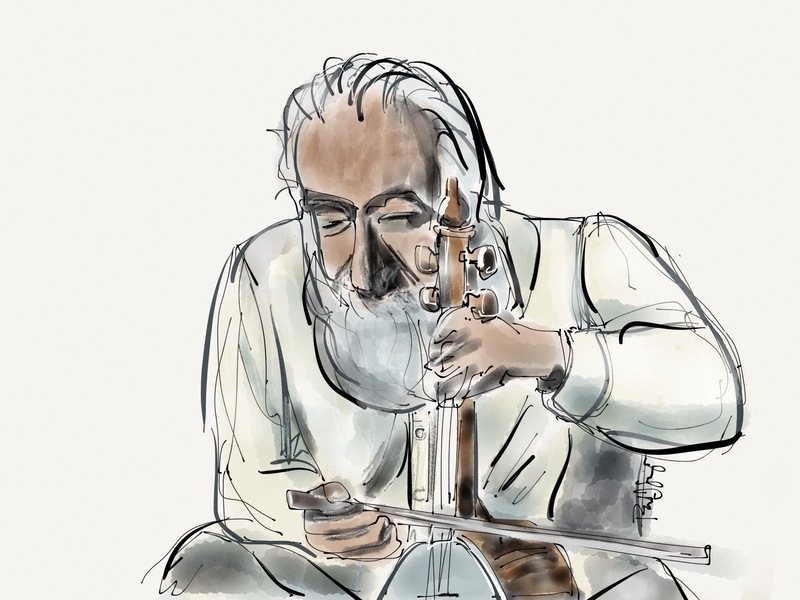 Apple Pencil and the Sketch Club and iColorama apps. I had it printed on 24″ X 24″ canvas, 1.5″ bordered, solid color wrap through Bay Photo. 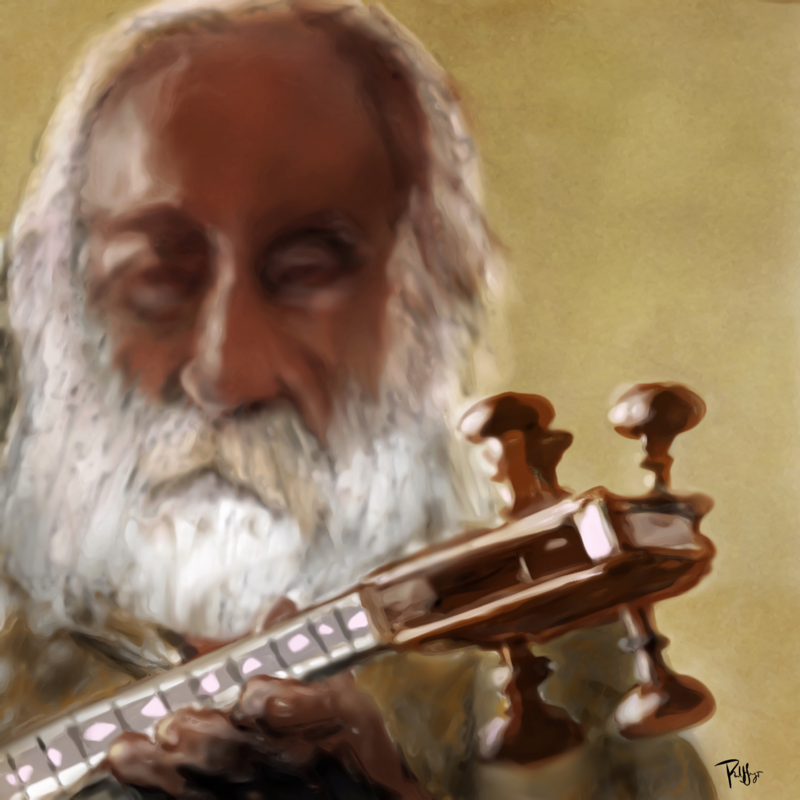 Depicted here playing the kamancheh, Mohammad-Rezā Lotfi lives on in the hearts of many … singing and playing setar, ney, daf, tombak, you name it; and he lives on in my heart directly and by means of my dear friend, Sirous, whose heart is heavy ever since Lotfi died a few days ago, which breaks my heart even more. I met Lotfi in the mid 1980s and heard him perform alone or with one or two others on several occasions in a variety of settings. Over time I came to understand better his role in the revitalization of traditional Persian music. I think I’ve already mentioned that I am, in fact, one of the luckiest guys from Murdock St., Canonsburg, PA! How blessed I was to meet Lotfi, to hear him perform, to be bathed for hours in the sacred, musical poetry of Hafiz, Rumi, and others in spite of language barriers. On one very special occasion, thanks to Sirous, while I was a monk, Lotfi and two colleagues visited and performed at the monastery in the vaulted and acoustically-accommodating basement of the basilica in what was one of the most ecumenical and beautiful events ever to take place there! Sirous often reminds me that Lotfi was pleased with the venue and found it conducive in more ways than one. I subsequently saw Lotfi perform in both small, informal gatherings and large concert settings. My heart goes out to Sirous and all who mourn the loss of Maestro Lotfi. Maestro Lotfi’s music is all over the internet, and it is readily available for purchase. It was this YouTube video that refreshed my memory for the drawing. One of these days I’ll tell the story of how I became familiar with traditional Persian music. It has been a love affair of more than 30 years! 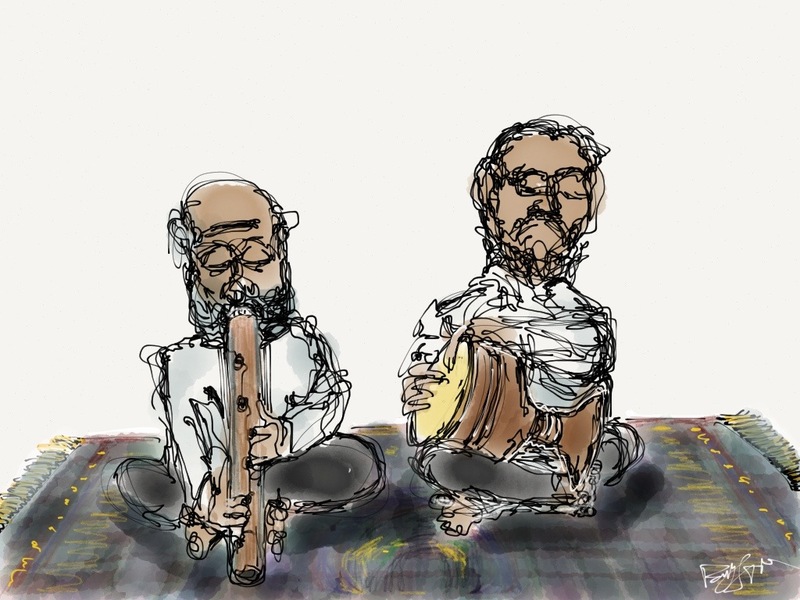 On one of our flights back from CA to IA I was listening to a beautiful piece that featured the Persian ney and tombak, and this little drawing was inspired. If you’re not familiar with this music or these instruments, then I simply suggest that you look them up on YouTube. It’s been a long day; otherwise, I would supply a link or two.